District Attorney Larry Krasner fired 31 prosecutors on Friday night. The fake outrage over newly inaugurated District Attorney Larry Krasner's decision to demand the resignations of 31 of his employees would be laughable if it weren't so frightening. Yes, we need an efficient criminal justice system to punish those who would victimize us, to redeem those who seek change, and to protect those who are weak. But Philadelphia's system does none of those things as effectively as it should. If it did, our prisons would house only those who are guilty of crimes. Instead, we disproportionately imprison those who are guilty of blackness, guilty of mental illness, guilty of addiction, or guilty of poverty. Anyone who would defend a system that so thoroughly targets the most vulnerable among us should stop examining Krasner's firings, and instead examine themselves. Because let's be clear. Ours is not a justice system. It's an injustice system. Those who were forced out had spent years as a part of that system. Now, in the words that Oprah Winfrey spoke so clearly at the Golden Globes, their time is up. Still, there were legitimate questions to be asked about the timing of Krasner's move, about the reasoning behind it, about its effect on crime victims who sometimes must wait years to experience that most elusive word — justice. I asked Krasner those questions in an exclusive interview on my radio show on Praise 107.9 FM. Why, I asked, did he fire 31 people just days after taking office? He quibbled with the term "firing," saying he instead requested resignations so the employees could get benefits that a firing would stop them from receiving. 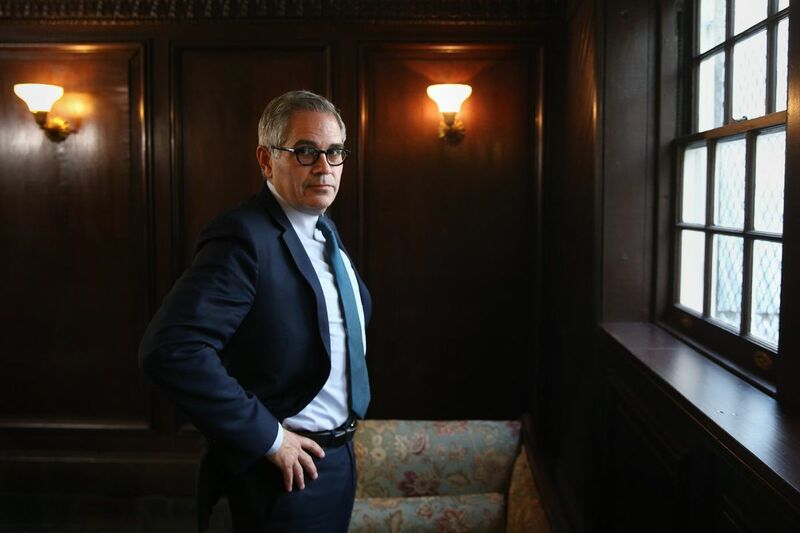 "We did it because this is an office in need of culture change," Krasner told me. "It is an office in need of reorganization. Some of the spots were eliminated and they're not coming back, so the individuals in those spots, needless to say, have to be separated. It's an office that's been going the wrong direction for a while, but we're trying to go the right direction now. And that means that we have to go that direction with team members who we think are going to work on the team. I'm the coach. I get to pick the team." Of course, the criticisms of Krasner's move were about much more than the team. Critics said that crime victims would have to wait even longer for justice because Krasner had moved too quickly to fire veteran prosecutors. That narrative played out in several courtrooms on Monday, with at least one judge, Common Pleas Court Judge Barbara A. McDermott, venting her frustration from the bench in a homicide trial that has now been delayed for another three months. "This court has been placed, because of the management decisions by the new district attorney, in an exceedingly difficult position today," she said, according to published reports. Moreover, the family of homicide victim Marquan Royster, and the family of his accused killer, Ameer Murphy, were both angered by the delay. I asked Krasner whether he'd considered the effect on crime victims before making staff changes that would result in justice delayed. "Of course," Krasner told me. "The truth is that there is more to the story around those couple of cases than the press knows or even some of those judges know. As a district attorney, you have an obligation not just to put on a case, but to put on a case right. And if there are things that have not been done — there are things that are not complete — that affect justice, then you need to try to get it right. You have to not only look out for winning. You have to look out for winning in a way so that it's not going to be overturned on appeal, which makes victims and witnesses have to go through it again. But you also have to do so in a way that is just. "I had serious concerns, frankly, about the level of preparedness for one of those cases, and the other case is a case in which there is no serious injustice being done to anyone by delay." I asked Krasner whether he was suggesting that there had been prosecutorial misconduct. "Solomon, the rules of ethics are that I'm not supposed to be talking too much about cases that are pending … but I will say this. I'm not speaking of prosecutorial misconduct so much as I'm speaking of certain avenues that should've been explored, not been fully explored not being fully explored in a way that could be permanently detrimental to trying to achieve the best outcome." We'll learn more about that going forward, but I do know this. Larry Krasner is determined to change the criminal justice system for the better. There are those on the other side who are just as determined to derail his progress. If I were a betting man, I'd put my money on Krasner, because, in the words of Martin Luther King, the arc of the universe is long, but it bends toward justice.